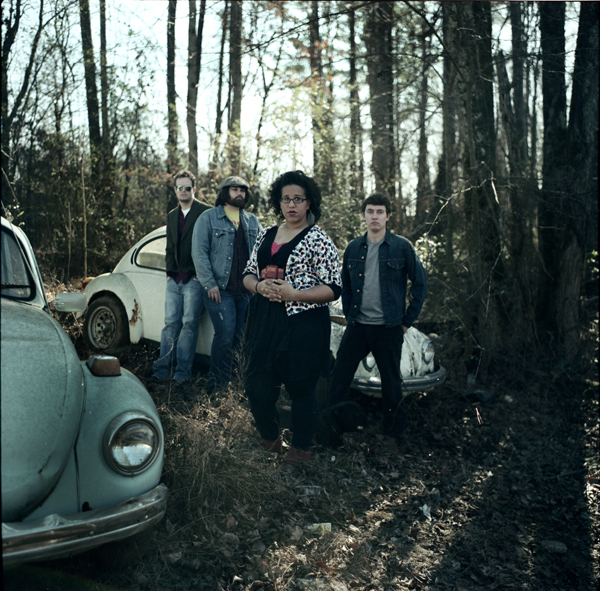 The Alabama Shakes are four musicians from North Alabama who grew up together in a small town fifteen miles from the Tennessee state line. They formed a rock and roll band after high school, and started playing together two evenings a week after their day jobs finished. Without each other – four parts constituting a greater sum as a whole – they may never have found that musical alchemy. By the fall of 2011, they’d opened a few shows for Drive-By Truckers, and fans outside of the state began taking notice of their simple, heartfelt soul music. Across the pond, publications like NME and The Guardian were raving about them. At New York’s CMJ Music Marathon in October, they blew away the music industry and media, and went on to sign record deals with ATO and Rough Trade for their debut album, Boys & Girls, which they’d recorded nearly a year before. Jack White just tapped them to launch a singles series for Third Man Records. This is the story of how an unknown act from North Alabama, who once could only get gigs playing covers at local bars, became America’s next great rock and roll band. Like any kid from North Alabama, Brittany Howard wanted to form a band. By 2009, Howard was out of high school and working at the post office. She’d moved into a house her great-grandfather built, which gave her a special feeling. It would prove to be the perfect place to host jam sessions, store instruments, and write and record music with her high school friend Zac Cockrell, a bassist she’d met a few years earlier. Not long after graduating, Howard and Cockrell had some rough demos of original material. Howard ran into Steve Johnson, a local drummer who worked at Athen’s music shop, The Royal Bizarre. Johnson was one of the best drummers in town, and after hearing their demos on a drive to a party one night, he asked if he could join. Heath Fogg, who had attended the same high school as Howard and Cockrell a few years earlier, heard through friends that the new band had been practicing, though they had yet to play their first gig. Fogg was playing guitar in another Athens band called Tuco’s Pistol, the name a nod to the villain’s weapon from The Good, The Bad, And The Ugly. By this point, Johnson had gotten Howard and Cockrell into a real studio, and their recordings impressed Fogg enough to invite them to open for Tuco’s Pistol. But they put the ball back in Fogg’s court, asking if he’d be willing to play the gig with them. “For some reason, they wanted another guitar player, which I didn’t think they needed,” says Fogg. Howard is an accomplished blues guitarist, able to play tight rhythm guitar as well as blistering leads in the school of Jimmy Page and Jimi Hendrix. Fogg obliged, though, and The Shakes, as they were known then, played their first gig together. For the next two years, the four band members would hold down regular day jobs, getting together at Howard’s house twice a week to play.